The Arrow JT21C Staple Gun Tacker has a lightweight, compact design. Ideal for light-duty DIY work with a durable chrome finish and all-steel construction. 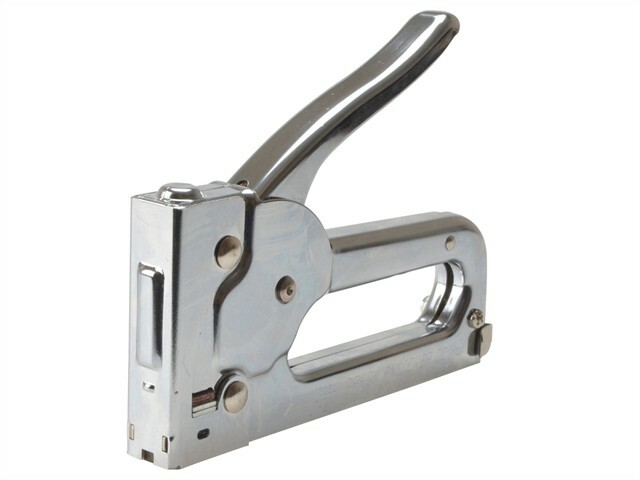 It has a contoured handle, visual refill window, jamproof mechanism and a built-in staple lifter. Has a Chrome finish.